September 2018 marks S4G’s 10th anniversary, a significant milestone for our company! 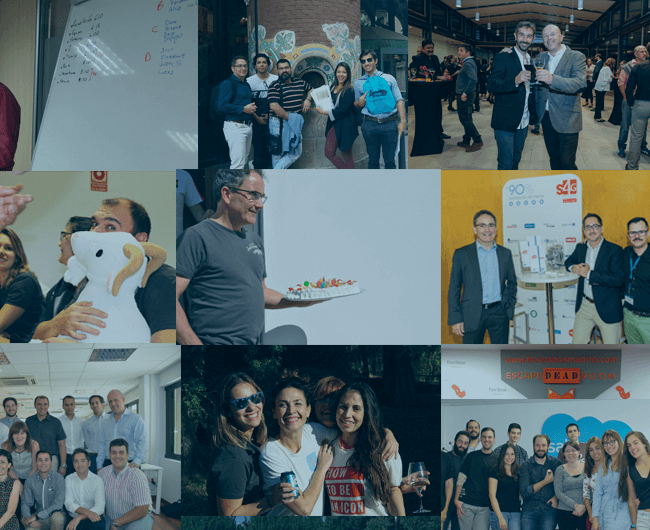 In this post I’d like to look back over this period, recalling some of the highlights along the way and reflecting on where we are as a company today. S4G was set up towards the end of 2008 by a team who shared a passion for the idea of CRM as a fundamental element on which to base any organisation’s customer relationship strategy. While CRM systems had been around for many years and were already being used by a range of large companies, it was not until the emergence of Salesforce and the concept of CRM in a Cloud Computing model, that CRM really became democratized. Salesforce provided all companies, regardless of their sector or size, with access to a system boasting the same capabilities as large multinationals, something which was previously inconceivable. Now the whole world is talking about Cloud Computing and SaaS. It’s unusual to find a CIO in 2018 without an extremely cloud-focused strategy (perhaps even 100% cloud-based). However, 10 years ago, back in 2008, companies with this vision were few and far between and the Cloud had not yet earned companies’ trust, meaning only a very small number would have even considered using a tool like Salesforce. It cannot be understated: Salesforce was a visionary, somewhat risky product, perhaps a crazy move. S4G was founded with the aim of making organizations more efficient through the use of Cloud Computing technology, specifically using Salesforce. Our vision was, and continues to be, one of a world of highly efficient companies, where the optimization and automation of processes improve employees’ productivity and well-being, while also reducing costs and improving customer experience with our brand. The early years were challenging: It’s not easy for a tiny company with no client portfolio or project references to be successful in selling and taking on projects using an “unknown” technology that few people trusted. Our enthusiasm for what Salesforce was capable of doing for the different companies we talked to and our unfailing commitment to the success of the clients who trusted in us began to yield a list of success stories and make waves in the market. Added to the relentless growth of Salesforce, this saw us really take off, and by 2012 there were already 8 of us in the company. 2013 was the year that Salesforce created the current tiering system in its partner program. While we were all registered partners, we now had the chance to become Platinum or Gold Partners as well. That very year saw us become the only Salesforce Partner (there were already a dozen at that time) to achieve the classification. What were the criteria? Specialization (certifications), Excellence (Project Satisfaction Index) and Commitment (projects addressed using technology). This, however, was not our most important milestone in 2013. 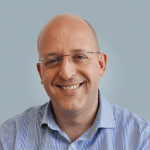 It was also the year our current Chief Operating Officer joined the company: Martín Borthiry. Martín is a born leader and an excellent architect. Thanks to him, we have been able to build up an extremely strong and committed operations team, as well as improve our methodology and way of working, something we continue to strive for through our CANEI philosophy (Constant And Never Ending Improvement). Three years ago, barely two years after joining the company, Martín became a partner. At S4G, we know our success is only possible thanks to the unwavering commitment of the best talent, and as such, we like to recognise and reward it. Since 2014, Dreamforce has been the world’s largest technology event organised by a manufacturer. 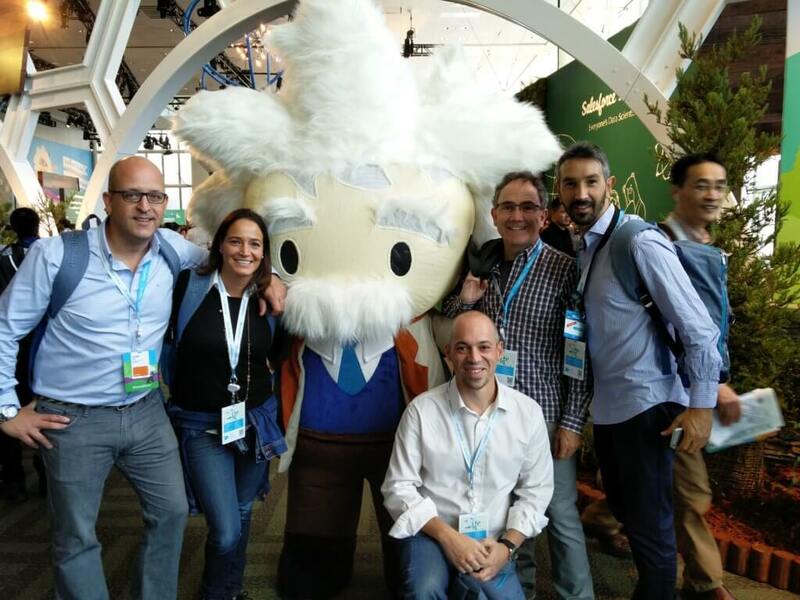 This year was the second time a Spanish delegation was put together which gave Customers, Partners and part of the Salesforce team the chance to travel together to witness new elements of Salesforce and the roadmap for the coming years. S4G has always sponsored delegations to ensure they are kept up to date with all things related to Salesforce. This year also saw two hugely significant announcements: Salesforce launched its lightning interface with various improvements in usability and productivity and also released a new cloud: Analytics, which allows customers to analyse system information in a far more powerful fashion than with standard reports and dashboards. In 2014, S4G experienced significant growth (62% in sales), while it was also the year which saw us hit €1M turnover in Consulting Services. Since then, we have managed to achieve sustained growth of about 50% per year. 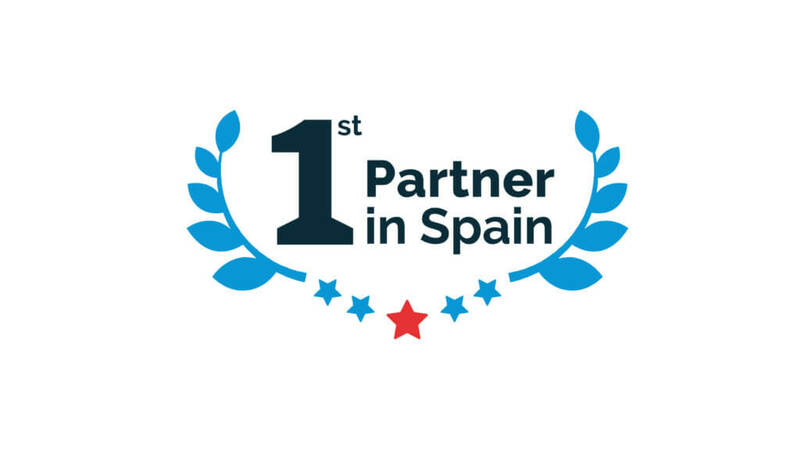 In 2015, a short while after Salesforce expanded its portfolio with the purchase of ExactTarget, Pardot and Radian6 in order to create its Marketing Cloud, we decided to become Partners in and Reseller of this cloud, once again gaining recognition as the first Marketing Cloud Gold Partner in Spain. Given the growth we were experiencing, at the turn of the year we had 15 people in the company, and the time had come to expand the commercial team (up to this point, when we reached turnover of one million euros, I was the only member covering S4G’s commercial efforts). In our search for the best talent, we were fortunate enough to strike upon our current Commercial Director, Jorge Negrete, who had just left Microsoft after 11 years at the helm of the Marketing section and the Partner Channel for Microsoft Dynamics CRM. Jorge joined S4G to help us in defining our business strategy and ensure success and continued growth in sales. He wasted little time in becoming a partner in the company, just as Martín had done. 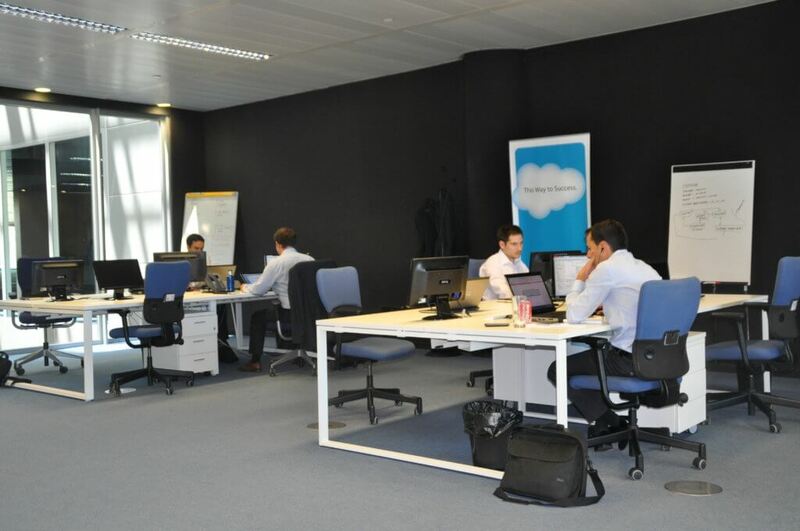 Although we have had a Salesforce Consultancy team based in Barcelona since 2015, this was the year we decided to open an office in the city. We now had several customers in Barcelona and we needed a local team in order to be closer to them. 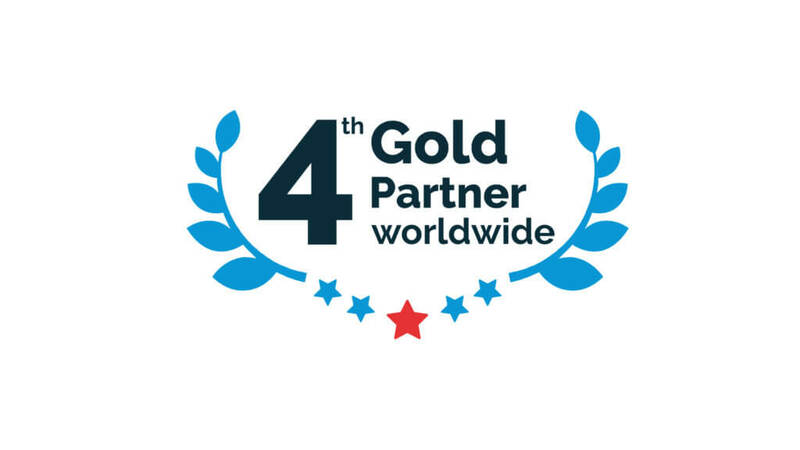 Another hugely important milestone for us this year was becoming the 4th rated Salesforce Gold Partner worldwide in terms of customer feedback according to Appexchange, the Marketplace set up by Salesforce to allow its customers to find solutions and consulting companies like us. The most important thing at S4G is our customers, and the faith they place in us in order for us to help them achieve success through a real partnership. We consider our customers’ successes as our own. In 2009, just 1 year on from our creation, we had two free Appexchange applications available: Currency Updater (to update currency exchange) and S4G Logger (to audit the system by logging inserts, updates, and deletions). In 2017, we launched a Product creation initiative at S4G, and to date, it has allowed us to develop two further applications: Activo, a specific Real Estate solution and Omnitranslate, a solution for translating texts between any two languages. This year we also opened a Coder Dojo at our Madrid headquarters to teach programming to children of all ages, something which continues to this day. We also opened a pilot office in the UK towards the end of the year, with a view to moving our business onto an international plane. So far, we have worked with 5 clients outside Spain. This year we are celebrating our 10th anniversary, a major milestone for any company. It’s nice to stop and take a look back over the journey from time to time and better assess what the future holds. Salesforce.org Innovation Dinner – In February we were one of 11 EMEA Salesforce.org Partners invited to a dinner at the Savoy in London, where we were honoured to be invited to speak about the unprecedented success S4G is enjoying in the education sector. Salesforce.org Premier Partner – We also reached the highest Partner level with the Salesforce Foundation in February, a demonstration of our engagement and growth in this area. Salesforce Most Relevant Project Award (ESMB) – We were recognised at the annual Salesforce Partner Awards for the Sales Cloud and Marketing Cloud project we commenced with Cabify. Anniversary celebrations – Pudimos celebrar tanto el equipo en un evento interno, como los clientes y compañeros de Salesforce en uno que hicimos para conmemorar el año. You can see photos from both events here. Salesforce.org HighEd Summit EMEA – This year saw the first Salesforce EMEA event held at the HighEd summit in Barcelona. The event was attended by several Spanish clients as well as others from around the world (UK, France, Poland, Mauritius, …). S4G was the event’s only Platinum Sponsor and we had the opportunity to take part in a couple of sessions in the main hall. Great Place to Work – A hugely significant milestone for us as a company was being presented with the Great Place to Work award. The survey carried out by this certificate on company employees returned results of a 96% satisfaction rating at S4G! IBEX 35 Customers – While S4G works on projects across all the Salesforce clouds with companies of different sizes and from a range of sectors, this year we have signed contracts with some major Ibex companies including: Acciona, Grifols and Amadeus. Over the course of the last 10 years we’ve had the chance to discuss the possibility of completing a Salesforce project with over 700 companies. And we’ve worked with over 230 of them across 30 industries! We have big plans for 2019, but we wouldn’t be able to put them into practice without the extraordinary team we’ve assembled here at S4G, which is the reason we’ve come so far already.